Would I look good in this? No? Fine. 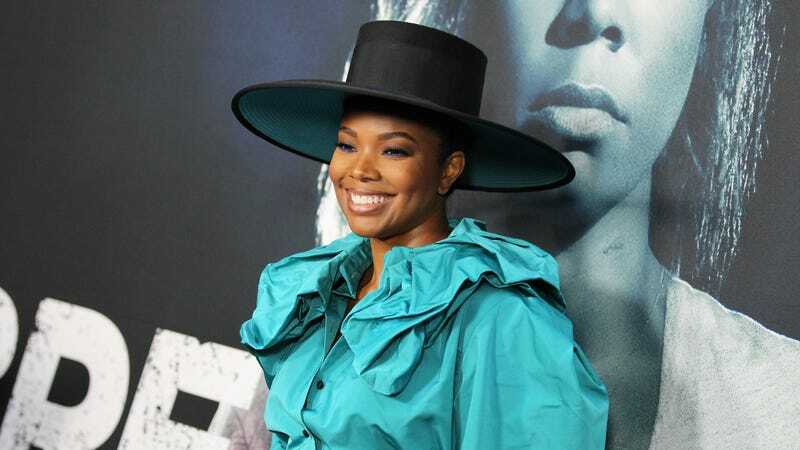 Actor, writer, and perpetual fave Gabrielle Union showed up to the Tuesday premiere of her new movie Breaking In (which she also produced) wearing a look from Marc Jacobs’ Fall 2018 collection that included, as part of its three bold and eye-popping pieces, a very cool hat that I would like to wear but would no-doubt look several hundred times worse in than Ms. Union. This is the sartorial third home run in just about a week for Union and her stylist Thomas Christos, who have been working together for about two years. Back in 2017, Union praised Christos for his eagerness to push her out of her clothing-related comfort zone, saying he gave her the “freedom” to explore more fashionable looks.